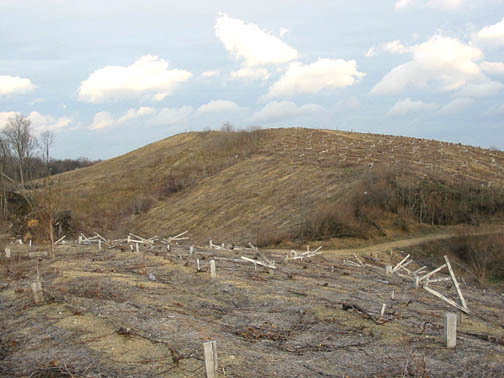 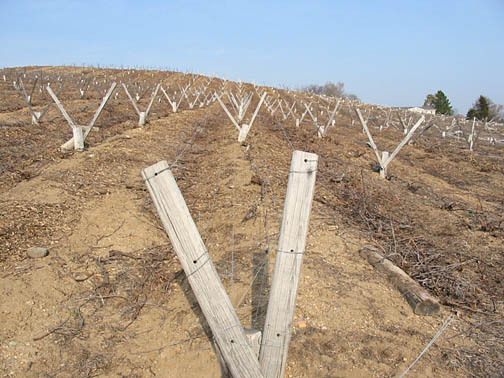 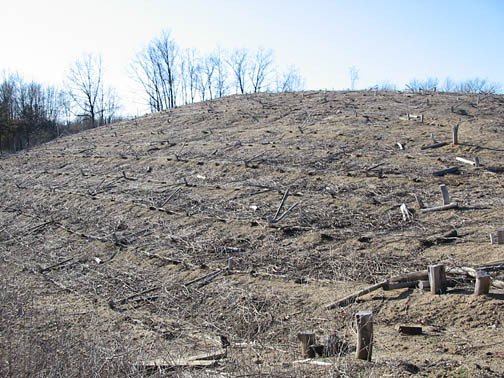 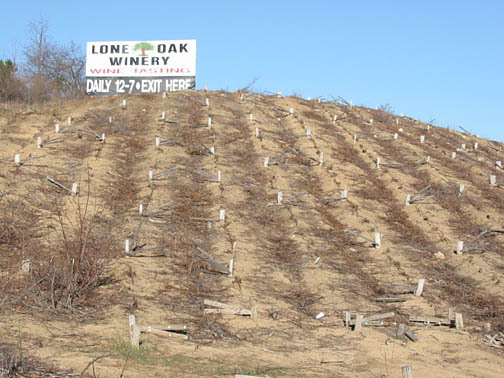 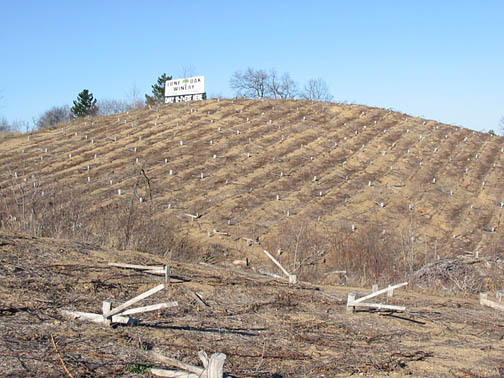 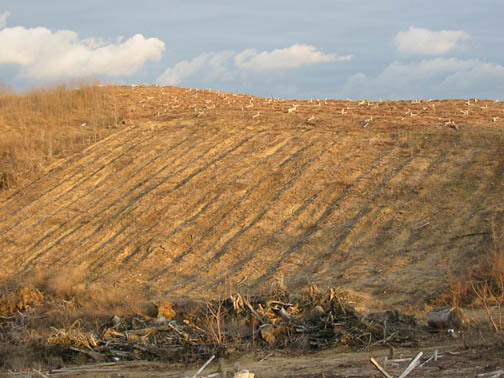 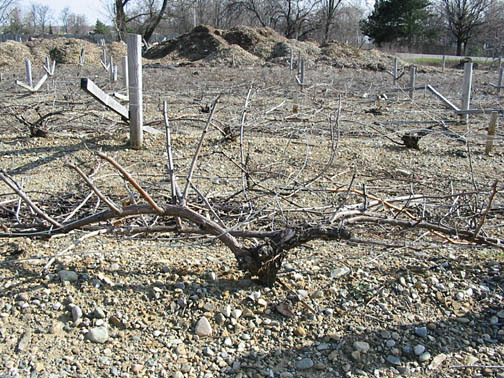 Lone Oak Vineyard is dominated by south-facing hillsides located in central Jackson County Southern Lower Michigan. 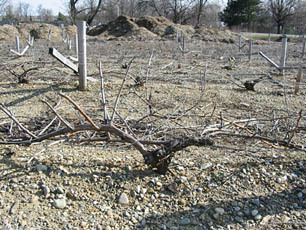 These photos are from early spring after removal of mulch. Click on photos to enlarge. 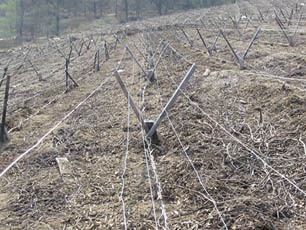 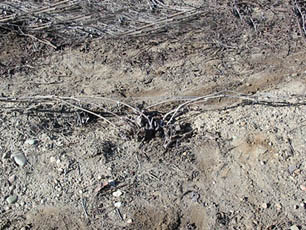 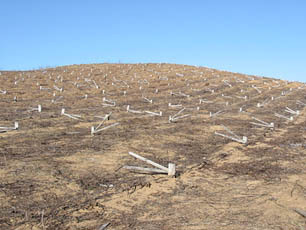 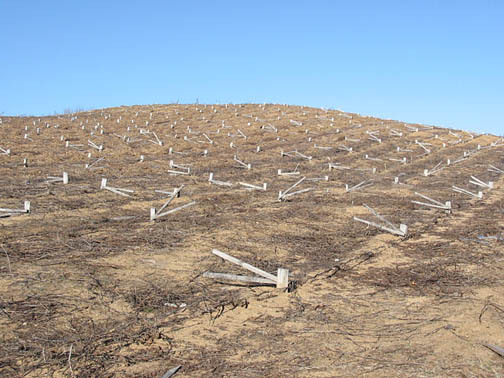 Dormant Cabernet Sauvignon on a very steep southern slope. Very warm vineyard site.